Eighteen years ago the advent of nuclear weapons changed the course of the world as well as the war. Since that time, all mankind has been struggling to escape from the darkening prospect of mass destruction on earth. In an age when both sides have come to possess enough nuclear power to destroy the human race several times over, the world of communism and the world of free choice have been caught up in a vicious circle of conflicting ideology and interest. Each increase of tension has produced an increase of arms; each increase of arms has produced an increase of tension. It doesn’t even matter if we ever fire these missiles or not. They are having their effect upon us because there is a generation growing up now who cannot see past the final exclamation mark of a mushroom cloud. They are a generation who can see no moral values that do not end in a crackling crater somewhere. I’m not saying that nuclear bombs are at the root of all of it, but I think it is very, very naïve to assume that you can expose the entire population of the world to the threat of being turned to cinders without them starting to act, perhaps, a little oddly. Nuclear weapons are explosive devices that derive their destructive force from nuclear reactions, either fission or a combination of fission and fusion. Both reactions release vast quantities of energy from relatively small amounts of matter. Martin Amis, Einstein's Monsters (1987), "Introduction: Thinkability". The idea that every nation ought to have an atomic bomb, like every woman of fashion ought to have a mink coat, is deplorable. Clement Attlee, cited in S. Beer, Modern British Politics,(Faber and Faber, 1965) and Stuart Thompson,The Dictionary of Labour Quotations, Biteback Publishing, (2013). The Obama Administration must move more quickly to plan for a future in which nuclear weapons are likely to play a greater role in national defense. Hard as it may be to accept, Dr. Strangelove is back. Michael Auslin "The Dangerous Degradation Of The U.S. Nuclear Arsenal" Forbes (February 27, 2014). Kenneth Bainbridge remark to Robert Oppenheimer immediately after the first atom bomb test explosion at Alamogordo as quoted in Lansing Lamont, Day of Trinity (1966), p. 242. Countries keep most details of their nuclear weapons secret, but it is known that nine countries own the estimated more than 9,000 nuclear weapons that are in military service. These are either deployed - mounted on land or sea missiles and kept at air bases - or in storage. About 1800 are on high alert and could be fired with little warning. The US and Russia own the vast majority of the world's nuclear weapons. Including retired warheads waiting to be dismantled, the total is said to be almost 15,000, according to the Stockholm International Peace Research Institute (Sipri). This is a marked decline since the 1980s when the figure peaked at around 70,000. BBC News, “Reality Check: Where are the world's nuclear weapons?”, Reality Check, (2 February 2018). As the Director of the Theoretical Division of Los Alamos, I participated at the most senior level in the World War II Manhattan Project that produced the first atomic weapons. Now, at age 88, I am one of the few remaining such senior persons alive. Looking back at the half century since that time, I feel the most intense relief that these weapons have not been used since World War II, mixed with the horror that tens of thousands of such weapons have been built since that time—one hundred times more than any of us at Los Alamos could ever have imagined. Today we are rightly in an era of disarmament and dismantlement of nuclear weapons. But in some countries nuclear weapons development still continues. Whether and when the various Nations of the World can agree to stop this is uncertain. But individual scientists can still influence this process by withholding their skills. Accordingly, I call on all scientists in all countries to cease and desist from work creating, developing, improving and manufacturing further nuclear weapons - and, for that matter, other weapons of potential mass destruction such as chemical and biological weapons. Hans Albrecht Bethe On the 50th anniversary of Hiroshima in letter, Bulletin of the Atomic Scientists (Nov 1995), 51:6, p. 3. The House should express its opposition to the escalation of the nuclear arms race by any nation and, in particular, its opposition to Canada's participation by testing in Canada any nuclear weapon or nuclear weapon delivery vehicle such as, and including, the cruise missile. Edward Broadbent, Canadian House of Commons speech, (July 1, 1983); as qtd in John Clearwater, ""Just Dummies": Cruise Missile Testing in Canada", (2005), p.52. We will be making a sufficient but necessary contribution if we simply jar the prevalent complacency on the doctrine of shoot-from-the-hip-and-empty-the-magazine. We may as well admit that the strictly tactical problem of destroying Manhattan is already absurdly easy, and time promises to make it no less easy. That is only to say that its protection, if it can be protected, is henceforward a strategic and political problem rather than a tactical one. On May 28, 1998, Pakistan conducted five simultaneous underground nuclear test at Ras Koh Hills in the Chagai District of Balochistan against the Baloch citizen's will and mandate, a crime against humanity and against all international laws. Balochistan National Congress, as qtd. in "Baloch activists condemn Pak's 1998 nuclear tests", ANI, Vietnam Tribune, (29 May 2018). Shah Meer Baloch, "The Fallout From Pakistan's Nuclear Tests", The Diplomat, (May 29, 2017). The American, English and French newspapers are spewing out elegant dissertations on the atomic bomb. We can sum it up in a single phrase: mechanized civilization has just achieved the last degree of savagery. Albert Camus, Combat, 8th August 1945. Quoted in In a Dark Time Nicholas Humphrey, Robert Jay Lifton, 1984, (p.27). In April 1946, the sleepy town of Sarov with a population of 3000 (best known for its monastery), 400 km east of Moscow, was converted into the super-secret atomic weapons city of Arzamas-16 (sometimes nick-named "Los Arzamas"). For over 45 years Sarov disappeared from the map, to reappear under its original name of Sarov after the collapse of the Soviet Union. Throughout this 45 year period it was headed by one man: Yuli Khariton, Scientific Director of Arzamas-16 from 1946 to 1992. Sublette, Carey. "The Soviet Nuclear Weapons Program", nuclearweaponarchive.org. (Retrieved 21 April 2017). May there not be methods of using explosive energy incomparably more intense than anything heretofore discovered? Might not a bomb no bigger than an orange be found to possess a secret power to destroy a whole block of buildings—nay, to concentrate the force of a thousand tons of cordite and blast a township at a stroke? Could not explosives even of the existing type be guided automatically in flying machines by wireless or other rays, without a human pilot, in ceaseless procession upon a hostile city, arsenal, camp or dockyard? Winston Churchill, "Shall We All Commit Suicide?" Pall Mall (Sep 1924). Reprinted in Thoughts and Adventures (1932), 250. Be careful above all things not to let go of the atomic weapon until you are sure, and more than sure, that other means of preserving peace are in your hands. The atomic bomb is the Second Coming in Wrath. Winston Churchill, on hearing about the Trinity test, as recollected in Harvey H. Bundy, "Remembered Words," The Atlantic (March 1957). It is arguable whether the human race have been gainers by the march of science beyond the steam engine. Electricity opens a field of infinite conveniences to ever greater numbers, but they may well have to pay dearly for them. But anyhow in my thought I stop short of the internal combustion engine which has made the world so much smaller. Still more must we fear the consequences of entrusting a human race so little different from their predecessors of the so-called barbarous ages such awful agencies as the atomic bomb. Give me the horse. Winston Churchill, address to the Royal College of Surgeons (10 Jul 1951). Collected in Stemming the Tide: Speeches 1951 and 1952 (1953), p. 91. On 17th July there came to us at Potsdam the eagerly-awaited news of the trial of the atomic bomb in the [New] Mexican desert. Success beyond all dreams crowded this sombre, magnificent venture of our American allies. 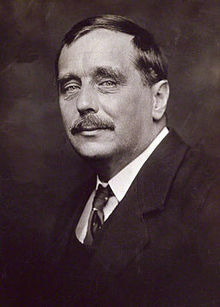 The detailed reports ... could leave no doubt in the minds of the very few who were informed, that we were in the presence of a new factor in human affairs, and possessed of powers which were irresistible. So many nations today possess the nuclear bomb, the most destructive weapon ever conceived and built, that a future major war would be the ultimate horror: the complete destruction of life on planet Earth. For many millions of years Earth would be a dead planet, a toxic waste. Men, themselves, would have to incarnate on some dark, far-off world, and begin again the long, long journey into the light. The historical record of terrorists pursuing nuclear and radiological capabilities is small in size, complicated by significant information gaps, and not well understood. The size of the dataset and the considerable unknowns about the cases where groups have sought these capabilities make it difficult to assess the nature of the danger and to anticipate new developments in the nature of the threat. However, given the potential consequences of terrorist theft of a nuclear weapon or indigenous development of a nuclear device—even one employing a crude design that produces only a small nuclear yield—poses a serious danger that the United States and other allied nations must take extraordinary measures to thwart. Developing an effective and comprehensive strategy to prevent terrorist acquisition of nuclear and radiological weapons capabilities must begin with a thorough understanding of the historical record of terrorist efforts and opportunities to acquire these capabilities. Sara Daly, John Parachini, William Rosenau, “Aum Shinrikyo, Al Qaeda, and the Kinshasa Reactor Implications of Three Case Studies for Combating Nuclear Terrorism”, Rand Project Airforce, (2005), p. iii. France's past as a prolific nuclear weapons tester returned to haunt it today as a military report appeared to prove that soldiers had been deliberately exposed to the radioactive fallout of explosions in the Sahara desert. The French government, which carried out more than 200 tests of its nuclear weapons arsenal from 1960 to 1996, has always claimed the operations were carried out as safely as possible. Lizzy Davies, "France Soldiers Exposed Nuclear Radiation", The Guardian, (16 Feb 2010). Do not be so naive. With economic conditions the way they are in Russia today, anyone with enough money can buy a nuclear bob. It's no big deal really. Vladimir K. Dmitriev, as quoted in Pete Earley, "Comrade J: The Untold Secrets of Russia's Master Spy in America After the End of the Cold War"
This new phenomenon would also lead to the construction of bombs, and it is conceivable—though much less certain—that extremely powerful bombs of a new type may thus be constructed. A single bomb of this type, carried by boat or exploded in a port, might very well destroy the whole port together with some of the surrounding territory. However, such bombs might very well prove to be too heavy for transportation by air. Albert Einstein, letter to President Franklin D. Roosevelt (August 2, 1939, delivered October 11, 1939); reported in Einstein on Peace, ed. Otto Nathan and Heinz Norden (1960, reprinted 1981), pp. 294–95. Today the atomic bomb has altered profoundly the nature of the world as we know it, and the human race consequently finds itself in a new habitat to which it must adapt its thinking. Albert Einstein, "Only Then Shall We Find Courage", New York Times Magazine (23 June 1946). If we sit idly by, this trend will continue. Countries that perceive themselves to be vulnerable can be expected to try to redress that vulnerability — and in some cases they will pursue clandestine weapons programs. The supply network will grow, making it easier to acquire nuclear weapon expertise and materials. Eventually, inevitably, terrorists will gain access to such materials and technology, if not actual weapons. Mohamed ElBaradei, Saving Ourselves From Self-Destruction (2004), Op-Ed essay published in The New York Times (12 February 2004). We scientists are clever—too clever—are you not satisfied? Is four square miles in one bomb not enough? Men are still thinking. Just tell us how big you want it! Richard P. Feynman as quoted in James Gleick, Genius: The Life and Science of Richard Feynman (1992), 204. Bikini islanders and their descendants have lived in exile since they were moved for the first weapons tests in 1946. When US government scientists declared Bikini safe for resettlement some residents were allowed to return in the early 1970s. But they were removed again in 1978 after ingesting high levels of radiation from eating foods grown on the former nuclear test site. US nuclear experiments in the Marshall Islands ended in 1958 after 67 tests. But a United Nations report in 2012 said the effects were long-lasting. Special rapporteur Calin Georgescu, in a report to the UN human rights council, said “near-irreversible environmental contamination” had led to the loss of livelihoods and many people continued to experience “indefinite displacement”. Agence France-Press in Majuro, "Bikini Atoll nuclear test: 60 years later and islands still unliveable", The Guardian, (1 Mar 2014). Mohandas Gandhi, Harijan, 29 September 1946, quoted in The Making of the Indian Atomic Bomb:Science, Secrecy and the Postcolonial State by Itty Abraham, Zed Books, 1998. (p. 30). Mahatma Gandhi, (1946). In William Borman, Gandhi and Non-Violence (1986), 170. Non-violence … is the only thing that the atom bomb cannot destroy. Mahatma Gandhi, in William Borman, Gandhi and Non-Violence (1986), 170. Alexandra Genova, "This Is What Nuclear Weapons Leave in Their Wake", National Geographic, (October 13, 2017). As those exposed to it later told investigators, the black mist caused their eyes to sting and their skin to break out in rashes. Others vomited and suffered from diarrhea. It took almost three decades until the cause of the mist was acknowledged as the Totem I nuclear bomb test, as Indigenous people had been claiming for years. That test was one of a number conducted in the 1950s and '60s, not by the Australian government, but by its former colonial master, the UK. Today, 65 years after the Totem I test, the effects are still being felt in South Australia and beyond. James Griffiths, "Australia is still dealing with the legacy of the UK's nuclear bomb tests, 65 years on",, CNN (October 14, 2018). This weapon [the atomic bomb] has added an additional responsibility—or, better, an additional incentive—to find a sound basis for lasting peace. It provides an overwhelming inducement for the avoidance of war. It emphasizes the crisis we face in international matters and strengthens the conviction that adequate safeguards for peace must be found. Leslie Richard Groves In 'Some Recollections of July 16, 1945', Bulletin of the Atomic Scientists (Jun 1970), 26, No. 6, 21. Leslie Richard Groves, Final statements in And Now It Can Be Told: The Story Of The Manhattan Project (1962), 415. It is only when science asks why, instead of simply describing how, that it becomes more than technology. When it asks why, it discovers Relativity. When it only shows how, it invents the atomic bomb, and then puts its hands over its eyes and says, "My God what have I done?" Ursula Le Guin, "The Stalin in the Soul" in The Language of the Night, 1976. Men are the only real monsters. Godzilla's more like a nuclear weapon. A living nuclear weapon destined to walk the Earth forever. Indestructible. A victim of the modern nuclear age. On July 10, 1985, two bombs exploded in Auckland Harbor, New Zealand. The blasts sank the Rainbow Warrior, a ship owned by the international organization Greenpeace, and killed a Portuguese photographer on board. Greenpeace had been preparing the Rainbow Warrior to lead a protest flotilla to the French nuclear testing site at Mururoa Atoll in the South Pacific. Two months after the Auckland Harbor incident, French officials admitted their government's responsibility for destroying the Rainbow Warrior. Officials of the United States also were concerned about the Rainbow Warrior's presence in the Pacific: Greenpeace had protested against American missile testing in Canada less than six months earlier, and the United Stated conducts a major missile testing program at the Marshall Islands in the Pacific. The Marshall Islands tests, while not currently involving nuclear explosions, still present serious hazards for ships navigating near missile targets. Frequently, these hazards extend into ocean areas outside United States territorial waters. If a vessel like the Rainbow Warrior entered such waters at the time of a planned test, the United States would probably have to postpone the test - at considerable cost - or remove the ship, an action that might violate international law. This Note addresses this potential dilemma and explores the conflict between two policies of the United States: acceptance of the international principle of freedom of the seas and use of those seas for exclusive purposes. The aggressive political activities of organizations such as Greenpeace suggest that this conflict may have more than academic import. Harvard Law Review, “Exclusion of Ships from Nonterritorial Weapons Testing Zones”, Vol. 99, No. 5 (Mar., 1986), pp. 1040. Anyone who thinks we can continue to have world wars but make them nice polite affairs by outlawing this weapon or that should meditate upon the outlawing of the cross-bow by Papal authority. Setting up the machinery for international law and order must surely precede disarmament. The Wild West did not abandon its shooting irons till after sheriffs and courts were established. Joel H. Hildebrand Speech, American Library Association Conference (3 Jul 1947), as quoted by Lawrence E. Davies in "Army's Atomic Bid Viewed in Making," New York Times (4 Jul 1947), 11. For years after World War II, both the United States and the Soviet Union had been trying to perfect a long-range missile capable of carrying nuclear warheads. Building on the successes of Nazi Germany in developing the V-1 and V-2 rockets that pummeled Great Britain during the last months of World War II, both American and Russian scientists raced to improve the range and accuracy of such missiles. (Both nations relied heavily on captured German scientists in their efforts.) In July 1957, the United States seemed to win the race when the Atlas, an ICBM with a speed of up to 20,000 miles an hour and an effective range of 5,000 miles, was ready for testing. The test, however, was a disaster. The missile rose only about 5,000 feet into the air, tumbled, and plunged to earth. Just a month later, the Soviets claimed success by announcing that their own ICBM had been tested, had “covered a huge distance in a brief time,” and “landed in the target area.” No details were given in the Russian announcement and some commentators in the United States doubted that the ICBM test had been as successful as claimed. Nevertheless, the Soviet possession of this “ultimate weapon,” coupled with recent successful test by the Russians of atomic and hydrogen bombs, raised concerns in America. If the Soviets did indeed perfect their ICBM, no part of the United States would be completely safe from possible atomic attack. History.com, “Russia tests an intercontinental ballistic missile”. The use of the atomic bomb with its indiscriminate killing of women and children, revolts my soul. Herbert Hoover, Letter (8 Aug 1945) to Colonel John Callan O’Laughlin, publisher of Army an Navy Journal, as quoted in Gar Alperovitz, The Decision to Use the Atomic Bomb (1996), 459. Cited as O’Laughlin Correspondence File, Box 171, Post-Presidential Papers, Herbert Hoover Presidential Library. Fifty years ago, on Jan. 21, 1968, the Cold War grew significantly colder. It was on this day that an American B-52G Stratofortress bomber, carrying four nuclear bombs, crashed onto the sea ice of Wolstenholme Fjord in the northwest corner of Greenland, one of the coldest places on Earth. Greenland is part of the Kingdom of Denmark, and the Danes were not pleased. After the crash, the United States and Denmark had very different ideas about how to deal with HOBO 28’s wreckage and radioactivity. The U.S. wanted to just let the bomber wreckage sink into the fjord and remain there, but Denmark wouldn’t allow that. Denmark wanted all the wreckage gathered up immediately and moved, along with all of the radioactively contaminated ice, to the United States. Since the fate of the Thule Air Base hung in the balance, the U.S. agreed to Denmark’s demands. Timothy J. Jorgensen; “50 years ago, a U.S. military jet crashed in Greenland – with 4 nuclear bombs on board”, PBS News Hours, (Jan 21, 2018). The unacceptability of the Doomsday Machine raises awkward, unpleasant, and complicated questions that must be considered by both policy maker and technician. If it is not acceptable to risk the lives of the three billion inhabitants of the earth in order to protect ourselves from surprise attack, then how many people would we be willing to risk? I believe that both the United States and NATO would reluctantly be willing to envisage the possibility of one or two hundred million people (i.e., about five times more than World War II deaths) dying from the immediate effects, even if one does not include deferred long-term effects due to radiation, if an all-out thermonuclear war results from a failure of Type I Deterrence. With somewhat more controversy, similar numbers would apply to Type II Deterrence. (For example, some experts would concede the statement for an all-out Soviet nuclear attack on Europe, but not if the Soviets restricted themselves to the use of conventional weapons.) We are willing to live with the possibility partly because we think of it as a remote possibility. We do not expect either kind of deterrence to fail, and we do not expect the results to be that cataclysmic if deterrence does fail. Australia's response to India's nuclear tests is the most abrasive of all the responses at the international level. On 14 May 1998 the Australian conservative coalition government decided to take action in response "to the outrageous acts perpetuated by India in conducting no less than five nuclear tests....: It announced immediate suspension of bilateral defence relations with India, withdrawal of its Defence Adviser from New Delhi, suspension of non-humanitarian aid and indefinite postponement of all ministerial and senior official visits. In fact, some Indian defence personnel who happened be on a course assignment in Australia were "physically hauled out of classrooms" and asked to leave immediately. Australia was in the forefront in criticizing India's nuclear test at various international fore. However, it did not impose any economic sanctions on India, which in any case would not have amounted to much. Man Mohini Kaul, “Australia-India Relations: Post-Pokhran II Phase”, International Studies, (October 1, 2000). I consider your crime worse than murder... I believe your conduct in putting into the hands of the Russians the A-Bomb years before our best scientists predicted Russia would perfect the bomb has already caused, in my opinion, the Communist aggression in Korea, with the resultant casualties exceeding 50,000 and who knows but that millions more of innocent people may pay the price of your treason. Indeed, by your betrayal you undoubtedly have altered the course of history to the disadvantage of our country. No one can say that we do not live in a constant state of tension. We have evidence of your treachery all around us every day for the civilian defense activities throughout the nation are aimed at preparing us for an atom bomb attack. Judge Kaufman's Statement Upon Sentencing the Rosenbergs. University of Missouri–Kansas City. Retrieved June 24, 2008. [We must examine] the thesis that these devices, the so-called nuclear weapons, are really weapons at all—that they deserve that designation. A weapon is something with which you try to affect the purposes and the concepts of an opponent; it is not something with which you blindly destroy his entire civilization, and probably your own as well. George F. Kennan, The Nuclear Delusion: Soviet-American Relations in the Atomic Age (1983), p. 243. Yesterday a shaft of light cut into the darkness. Negotiations were concluded in Moscow on a treaty to ban all nuclear tests in the atmosphere, in outer space, and under water. For the first time, an agreement has been reached on bringing the forces of nuclear destruction under international control-a goal first sought in 1946 when Bernard Baruch presented a comprehensive control plan to the United Nations. During the next several years, in addition to the four current nuclear powers, a small but significant number of nations will have the intellectual, physical, and financial resources to produce both nuclear weapons and the means of delivering them. In time, it is estimated, many other nations will have either this capacity or other ways of obtaining nuclear warheads, even as missiles can be commercially purchased today. I ask you to stop and think for a moment what it would mean to have nuclear weapons in so many hands, in the hands of countries large and small, stable and unstable, responsible and irresponsible, scattered throughout the world. There would be no rest for anyone then, no stability, no real security, and no chance of effective disarmament. There would only be the increased chance of accidental war, and an increased necessity for the great powers to involve themselves in what otherwise would be local conflicts. If only one thermonuclear bomb were to be dropped on any American, Russian, or any other city, whether it was launched by accident or design, by a madman or by an enemy, by a large nation or by a small, from any corner of the world, that one bomb could release more destructive power on the inhabitants of that one helpless city than all the bombs dropped in the Second World War. Following World War II, the Soviet Union’s major programs of nuclear weapon development resulted in that county’s first nuclear device, named RDS1 (standing for Rossia Delaet Sama, meaning “Russia does it itself”). It was first tested in Kazakhstan on 29 August 1949, at what became known as the Semipalatinsk Test Site (STS). 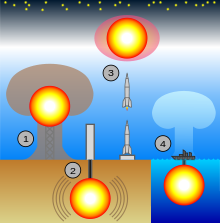 Until the mid-1950s, all Soviet nuclear tests were conducted above ground at STS. But in 1954 the first Soviet nuclear torpedo (the antiship weapon T-5) was under development and shortly became ready for testing. The Soviet military was eager to test it in a more realistic situation, requiring a site near a seacoast, and Novaya Zemlya was selected at that time for what became the first test in that region, an underwater test on 21 September 1955. I happened to read recently a remark by the American nuclear physicist W. Davidson, who noted that the explosion of one hydrogen bomb releases a greater amount of energy than all the explosions set off by all countries in all wars known in the entire history of mankind. And he, apparently, is right. Nikita Khrushchev, Address to the United Nations, New York City (September 18, 1959), as reported by The New York Times (September 19, 1959), p. 8. The physicist quoted was eventually found to be William Davidon, associate physicist at Argonne National Laboratory, Lemont, Illinois. Martin Luther King, Strength to Love, 1963. The great danger facing us today is not so much the atomic bomb that was created by physical science. Not so much that atomic bomb that you can put in an aeroplane and drop on the heads of hundreds and thousands of people as dangerous as that is. But the real danger confronting civilization today is that atomic bomb which lies in the hearts and souls of men, capable of exploding into the vilest of hate and into the most damaging selfishness—that's the atomic bomb that we've got to fear today. Problem is with the men. Within the heart and the souls of men. That is the real basis of our problem. Martin Luther King Jr., Rediscovering Lost Values, Sermon delivered at Detroit's Second Baptist Church (28 February 1954). The Atomic Age began at exactly 5.30 Mountain War Time on the morning of July 15, 1945, on a stretch of semi-desert land about 50 airline miles from Alamogordo, New Mexico. And just at that instance there rose from the bowels of the earth a light not of this world, the light of many suns in one. ... At first it was a giant column that soon took the shape of a supramundane mushroom. William L. Laurence on the first atomic explosion in New Mexico, 16 Jul 1945, New York Times (26 Sep 1945). That is the biggest fool thing we have ever done. The [atomic] bomb will never go off, and I speak as an expert in explosives. Admiral William D. Leahy comment on the U.S. Atomic Bomb Project, to President Harry S. Truman in 1945. Memoirs: Year of Decisions (1955), Vol. 1, 11. With the end of the Cold War, many of the arguments for and against cruise missiles have become outdated. Since almost all of the previous debate was framed in terms of the East/West conflict and the impact on the nuclear balance, the collapse of this framework has changed the significance of cruise missiles. Ground-launched cruise missiles (GLCMs) were banned under the 1987 Intermediate-range Nuclear Forces (INF) agreement. In 1991, Presidents Bush and Gorbachev agreed to remove nuclear sea-launched cruise (SLCM) and other tactical missiles from all surface ships and submarines at sea. The future deployment of nuclear air-launched cruise missiles (ALCMs) was limited under the START treaties, and production of the newer "stealth" air-launched Advanced Cruise Missile (ACM) ended in July 1993 at 460 missiles, some 1,000 fewer than had originally been planned. James Lee, "Cruise Missile Testing in Canada: The Post-Cold War Debate", Political and Social Affairs Division, Parliamentary Research Branch, Depository Services Program Government of Canada, (January 21, 1994). Can one imagine that The Bomb could ever be used "in a good cause"? Do not such means instantly, of themselves, corrupt any cause? The bomb is the natural product of the kind of society we have created. It is as easy, normal, and unforced an expression of the American way of Life as electric ice-boxes, banana splits, and hydro-matic drive automobiles. Dwight Macdonald, "Politics" magazine, (August, 1945). But these Algerians were not properly warned of their danger after France’s misgoverned nuclear bomb-testing campaign of the early 1960s, which vitrified vast tracts of desert with heat and plutonium and left a legacy of uncontained radiation that is still crippling inhabitants. Estimates of the number of Algerians affected by testing range from 27,000 — cited by the French Ministry of Defense — to 60,000, the figure given by Abdul Kadhim al-Aboudi, an Algerian professor of nuclear physics. Yet there has been little accountability for France’s disregard. A compensation scheme for victims of France’s nuclear tests exists, but it has made payouts to only 17 people. The majority of those were residents of French Polynesia, where France relocated its nuclear testing campaign after leaving Algeria and experimented with more than 190 nuclear bombs from 1966 to 1996. Johnny Magdaleno, "Algerians suffering from French atomic legacy, 55 years after nuke tests", Al Jazeera, (March 1, 2015). Any military commander who is honest with himself, or with those he's speaking to, will admit that he has made mistakes in the application of military power. He's killed people unnecessarily—his own troops or other troops—through mistakes, through errors of judgment. A hundred, or thousands, or tens of thousands, maybe even a hundred thousand. But… he hasn't destroyed nations. And the conventional wisdom is don't make the same mistake twice, learn from your mistakes. And we all do. Maybe we make the same mistake three times, but hopefully not four or five. But there will be no learning period with nuclear weapons. You make one mistake and you're going to destroy nations. Robert McNamara, in The Fog of War. I will have nothing to do with a bomb! Lise Meitner Response to being invited (1943) to work with Otto Robert Frisch and some British scientists at Los Alamos during the Manhattan Project to create the atomic bomb. life inRuth Sime, Lise Meitner: A Life in Physics (1996), 305. Uygurs]], one of the country’s minority ethnic groups. “There were three days that earth fell from the sky, without wind or any sort of storm. The sky was deadly silent—no sun, no moon,” he recalls. When the kids asked what was happening, the teacher told them that there was a storm on Saturn (its Chinese name translates into “soil planet”). Tohti believed her. It was only years later that he realized it was radioactive dust raised by the test detonation of a nuclear bomb within the province. A few hundred thousand people may have died as a result of radiation from at least 40 nuclear explosions carried out between 1964 and 1996 at the Lop Nur site in Xinjiang, which lies on the Silk Road. Almost 20 million people reside in Xinjiang, and Tohti believes that they offer unique insight into the long-term impact of radiation, including the relatively little studied genetic effects that may be handed down over generations. The Lop Nur project is just the tip of an international iceberg, remarks Abel Gonzalez of the Argentine Nuclear Regulatory Authority in Buenos Aires. Radiation researchers have had easy access to only three sites where nuclear blasts occurred—the U.S.’s site Bikini Atoll, the Soviet Union’s Semipalatinsk site in Kazakhstan and France’s site in Polynesia—and these areas represent just a small fraction of the approximately 500 atmospheric tests the world has seen. “We have a moral responsibility to investigate all nuclear test sites,” Gonzalez says. Certainly for the Xinjiang people affected by the Lop Nur tests, truer words have never been spoken. Zeeya Merali, “Did China's Nuclear Tests Kill Thousands and Doom Future Generations?”, Scientific American, (July 1, 2009). If we ourselves happen to survive, are any of us prepared to press the button or allow our elected representatives to command that this be done, in the certainty that it will kill millions of other people? Naomi Mitchison, "Questions for Inner Cabinet", Glasgow Herald, 35th July 1980. Jacques Monod quoted in John C. Hess, 'French Nobel Biologist Says World Based On Chance', New York Times (15 Mar 1971), 6. I believe in some sort of strange fashion that the presence of the atom bomb might almost be forcing a level of human development that wouldn’t have occurred without the presence of the atom bomb. Maybe this degree of terror will force changes in human attitudes that could not have occurred without the presence of these awful, destructive things. Perhaps we are faced with a race between the Four Horseman of the Apocalypse in one line and the 7th Calvary in the other. We have not got an awful lot of mid ground between Utopia and Apocalypse, and if somehow our children ever see the day in which it is announced that we do not have these weapons any more, and that we can no longer destroy ourselves and that we’ve got to do something else to do with our time than they will have the right to throw up their arms, let down their streamers and let forth a resounding cheer. National Intelligence Council, Annual Report to Congress on the Safety and Security of Russian Nuclear Facilities and Military Forces, (February 2003), p. 2.; as quoted in p.4. In keeping with the great secrecy involved in India's efforts to develop and test its first nuclear explosive device, the project employed no more than 75 scientists and engineers working on it in the period from 1967 to 1974. Of course this does not count the thousands of individuals required to build and operate the infrastructure supporting BARC and to produce the plutonium for the device. Outside of those actually working on the project, only about three other people in India knew of it - Prime Minister Indira Gandhi, her trusted adviser and former principal secretary P.N. Haksar, and her current principal secretary D.P. Dhar. No government ministers, including the Defense Minister, were informed. The implosion system was designed to compress the core to twice its normal density. The lenses that were developed used the fast-slow explosive design pioneered by the U.S. in World War II. Like the Gadget exploded at Trinity in 1945, they used an RDX-TNT mixture as the fast explosive, with baratol (barium nitrate and TNT) used as the slow explosive. Chengappa describes the inner slow explosive component as being in the shape of "Shiva ling am" -- a phallus in Hindu religious art which is squat and blunt in form. The device used 12 lens, which is described by Chengappa [pg. 182]: "the way the explosives were placed around the plutonium sphere resembled the petals of the lotus". This presumably indicates that each hemisphere of the implosion system consisted of 6 longitudinal lens segments (asymmetric diamond shaped lenses) joined together at the pole so that they formed triangular teeth at the equator which interlocked with the opposite hemisphere. This design is simpler and less sophisticated than the 32-lens "soccer ball" system developed by the U.S. during World War II. Nuclearweaponarchive.org, "India's Nuclear Weapons Program", (November 8, 2001). The flame from the angel's sword in the Garden of Eden has been catalyzed into the atom bomb; God's thunderbolt became blunted, so Man's dunderbolt [sic] has become the Steel Star of Destruction. Seán O'Casey, Sunset and Evening Star, 1954. J. Robert Oppenheimer, quoting from the 2,000-year-old Bhagavad Gita of India at the instant the first test atomic device exploded. Abraham Pais and Robert P. Crease, J. Robert Oppenheimer: a Life‎ (2006), 44. Also seen translated as “I am become Death, the destroyer of worlds. J. Robert Oppenheimer, The Decision To Drop The Bomb; Pontin, Jason (November–December 2007). "Oppenheimer's Ghost". Technology Review. When you see something that is technically sweet, you go ahead and do it and argue about what to do about it only after you've had your technical success. That is the way it was with the atomic bomb. J. Robert Oppenheimer, testifying in his defense in his 1954 security hearings (page 81 of the official transcript). Quoted in Charles Thorpe, Oppenheimer: The Tragic Intellect. University of Chicago Press,2008 (pp. 223-4). We have made a thing, a most terrible weapon, that has altered abruptly and profoundly the nature of the world. We have made a thing that, by all standards of the world we grew up in, is an evil thing. And by doing so, by our participation in making it possible to make these things, we have raised again the question of whether science is good for man, of whether it is good to learn about the world, to try to understand it, to try to control it, to help give to the world of men increased insight, increased power. Because we are scientists, we must say an unalterable yes to these questions; it is our faith and our commitment, seldom made explicit, even more seldom challenged, that knowledge is a good in itself, knowledge and such power as must come with it. But when you come right down to it, the reason that we did this job is because it was an organic necessity. If you are a scientist you cannot stop such a thing. If you are a scientist you believe that it is good to find out how the world works; that it is good to find out what the realities are; that it is good to turn over to mankind at large the greatest possible power to control the world and to deal with it according to its lights and values. J. Robert Oppenheimer, regarding the atomic bomb project from speech at Los Alamos (17 Oct 1945). Quoted in David C. Cassidy, J. Robert Oppenheimer and the American Century (2009), 214. If atomic bombs are to be added as new weapons to the arsenals of a warring world, or to the arsenals of nations preparing for war, then the time will come when mankind will curse the names of Los Alamos and Hiroshima. The people must unite, or they will perish. J. Robert Oppenheimer, Speech at Fuller Lodge when the U.S. Army was honouring the work at Los Alamos. (16 Oct 1945). Quoted in Kai Bird, Martin J. Sherwin, American Prometheus: the Triumph and Tragedy of J. Robert Oppenheimer‎ (2005), 323. It did not take atomic weapons to make man want peace. But the atomic bomb was the turn of the screw. The atomic bomb made the prospect of future war unendurable. It has led us up those last few steps to the mountain pass; and beyond there is a different country. J. Robert Oppenheimer, Commencement address (1946), as quoted in book review, William J. Broad, The Men Who Made the Sun Rise, New York Times Book Review (8 Feb 1987), 39. Congress reacted in 1946 by creating the Atomic Energy Commission (AEC) to oversee nuclear development. Responding to the threat of a Soviet nuclear program, the AEC authorized nuclear weapons tests in the South Pacific, and then later decided the Nevada desert would be less vulnerable to attack. In December 1950, the commission recommended establishing a permanent proving ground on a piece of the old Las Vegas Bombing and Gunnery Range. Truman concurred, and the first atmospheric detonation at the Nevada Test Site, a one-kiloton bomb dropped on Frenchman Flat, took place a month later. The U.S. nuclear testing program continued for 41 years and included 928 nuclear tests (with 1,021 total detonations). Most were underground, but 100 tests were atmospheric, or out in the open. Today, as the Nevada National Security Site, it is still used for radioactive waste storage, first-responder training, “subcritical” nuclear tests, and other projects. Samir S. Patel, "Dawn of a Thousand Suns", Archaeology, (November/December 2014). The only people who should be allowed to govern countries with nuclear weapons are mothers, those who are still breast-feeding their babies. Tsutomu Yamaguchi, who lived in Hiroshima when it was hit by an atomic bomb, survived, chose to move to Nagasaki, which was then hit by another atomic bomb, and survived that, too, living until 2010, all according to Steven Pinker. Steven Pinker, The Better Angels of Our Nature: Why Violence Has Declined (N.Y.: Viking, hardback 2011 ISBN 978-0-670-02295-3, p. 684. In plain words; now that Britain has told the world she has the H-Bomb, she should announce as early as possible that she has done with it, that she proposes to reject, in all circumstances, nuclear warfare. This is not pacifism. There is no suggestion here of abandoning the immediate defence of this island.... No, what should be abandoned is the idea of deterrence-by-threat-of-retaliation. There is no real security in it, no decency in it, no faith, hope, nor charity in it. J. B. Priestley, "Britain and the Nuclear Bombs", The New Statesman, 2 November 1957. Seeking to maintain its status as a global power after the Second World War, Britain tested 12 atomic bombs in Australia between 1952 and 1957. But when the major powers developed more powerful hydrogen bombs — the United States in 1952 and the Soviet Union in 1953 — Britain followed suit. After being refused H-Bomb test sites in Australia and New Zealand, the UK government decided to test its thermonuclear weapons in the British Gilbert and Ellice Islands Colony – today, part of the Pacific nation of Kiribati. Under Operation Grapple, nine hydrogen and atomic bomb tests were held at Malden Island and Christmas (Kiritimati) Island between May 1957 and September 1958. Between 1946 and 1996, there were more than 315 U.S., British and French nuclear tests at ten sites across the region. Many of the workers and military personnel who staffed the Pacific test sites, as well as indigenous communities on neighboring atolls, have faced serious health problems in the aftermath. During my interviews with the ageing survivors of Operation Grapple, I was told of cases of leukemia, cancer and sterility. Unlike the United States and France, which have established compensation schemes for nuclear survivors (however insufficient), the United Kingdom claims its tests were safe. The UK Ministry of Defence has fought every legal challenge brought by the nuclear veterans, who attribute many illnesses to their presence on Christmas Island. Catherine Putz, "Grappling with the Bomb: 60 Years After Britain’s Pacific Hydrogen Bomb Tests", The Diplomat. (September 30, 2017). Suddenly, there was an enormous flash of light, the brightest light I have ever seen or that I think anyone has ever seen. It blasted; it pounced; it bored its way into you. It was a vision which was seen with more than the eye. It was seen to last forever. You would wish it would stop; altogether it lasted about two seconds. Isidor Isaac Rabi, witnessing the first atomic bomb test explosion, in Science: the Center of Culture (1970), 139. The Pokhran test was a bomb, I can tell you now.... An explosion is an explosion, a gun is a gun, whether you shoot at someone or shoot at the ground.... I just want to make clear that the test was not all that peaceful. Raja Ramanna, speaking to the Press Trust of India, (10 October 1997). Nuclear weapon: an agency reserved for use by the most civilized nations for the settlement of disputes that might become troublesome if left unadjusted. Unfortunately, too many formerly uncivilized nations are becoming civilized. Amazing, the respect that nuclear weapons bring. The atomic bomb is a marvelous gift that was given to our country by a wise God. Phyllis Schlafly, quoted in Rosemary Chalk, "Women and the National Security Debate", in Bulletin of the Atomic Scientists, August/September 1982. Eric Schlosser: At one point we only thought we needed 50 to 200 nuclear weapons to annihilate the Soviet Union, and by the 1960's we had 32,000. Eric Schlosser: One of the weapons in particular went through all of its arming steps to detonate, and when that weapon hit the ground, a firing signal was sent. And the only thing that prevented a full-scale detonation of a powerful hydrogen bomb in North Carolina was a single safety switch. Eric Schlosser: During a fire, solder might melt on a circuit board. It created all kinds of new electrical pathways that could completely circumvent a safety device. Eric Schlosser, "Command and Control", American Experience, PBS, (April 25, 2017). Nuclear weapons are the most lethal machines ever invented, but the deterrence they provide is something intangible. "The central objective of a deterrent weapon system… is psychological," a classified Pentagon report once explained. "The mission is persuasion." In 1946, the US conducted its first postwar tests of the atomic bomb. One of these tests sought to discover the effect of a nuclear blast on a fleet of warships. The results were discouraging. Of the 88 ships moored near the point of detonation, in the Bikini atoll, only five sank. The Evaluation Of The Atomic Bomb As A Military Weapon, a top-secret report sent to Harry Truman, concluded that "ships at sea" and "bodies of troops" were poor targets. "The bomb is pre-eminently a weapon for use against human life and activities in large urban and industrial areas," the report argued. Such weapons were useful, most of all, for killing and terrorising civilians. According to the report, some of the best targets were "cities of especial sentimental significance". The Pentagon's official list of "broken arrows" – mishaps with nuclear weapons that might threaten the public – mentions 32 accidents. Yet a 1970 study by one of America's nuclear weapon laboratories, obtained through the Freedom of Information Act, stated that at least 1,200 weapons were involved in accidents between 1950 and 1968. Most of these accidents were trivial, but a number of serious ones were somehow omitted from the Pentagon's list. Moreover, the risk of accidental nuclear detonations was not fully understood by American weapon designers until the late 1960s, and it proved far greater than expected. A plane crash, a fire, a missile explosion, lightning, human error, even dropping a weapon from an aircraft parked on a runway were found to be potential causes of a nuclear explosion. Eric Schlosser, "Nuclear weapons: an accident waiting to happen", The Guardian, (14 Sep 2013). 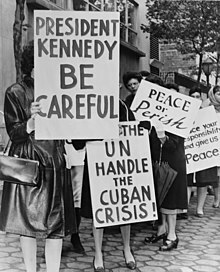 In the 1960 presidential election, Kennedy had cynically attacked Richard Nixon from the right, claiming that the Ike Eisenhower-Nixon administration had allowed a dangerous “missile gap” to grow in the U.S.S.R.’s favor. But in fact, just as Eisenhower and Nixon had suggested—and just as the classified briefings that Kennedy received as a presidential candidate indicated—the missile gap, and the nuclear balance generally, was overwhelmingly to America’s advantage. At the time of the missile crisis, the Soviets had 36 intercontinental ballistic missiles (ICBMs), 138 long-range bombers with 392 nuclear warheads, and 72 submarine-launched ballistic-missile warheads (SLBMs). These forces were arrayed against a vastly more powerful U.S. nuclear arsenal of 203 ICBMs, 1,306 long-range bombers with 3,104 nuclear warheads, and 144 SLBMs—all told, about nine times as many nuclear weapons as the U.S.S.R. Nikita Khrushchev was acutely aware of America’s huge advantage not just in the number of weapons but in their quality and deployment as well. Benjamin Schwarz, “The Real Cuban Missile Crisis”, The Atlantic, January/February 2013. The most striking impression was that of an overwhelming bright light. I had seen under similar conditions the explosion of a large amount—100 tons—of normal explosives in the April test, and I was flabbergasted by the new spectacle. We saw the whole sky flash with unbelievable brightness in spite of the very dark glasses we wore. Our eyes were accommodated to darkness, and thus even if the sudden light had been only normal daylight it would have appeared to us much brighter than usual, but we know from measurements that the flash of the bomb was many times brighter than the sun. In a fraction of a second, at our distance, one received enough light to produce a sunburn. I was near Fermi at the time of the explosion, but I do not remember what we said, if anything. I believe that for a moment I thought the explosion might set fire to the atmosphere and thus finish the earth, even though I knew that this was not possible. Emilio Segrè in Enrico Fermi: Physicist (1970), 147. [After the flash of the atomic bomb test explosion] Fermi got up and dropped small pieces of paper … a simple experiment to measure the energy liberated by the explosion … [W]hen the front of the shock wave arrived (some seconds after the flash) the pieces of paper were displaced a few centimeters in the direction of propagation of the shock wave. From the distance of the source and from the displacement of the air due to the shock wave, he could calculate the energy of the explosion. This Fermi had done in advance having prepared himself a table of numbers, so that he could tell immediately the energy liberated from this crude but simple measurement. … It is also typical that his answer closely approximated that of the elaborate official measurements. The latter, however, were available only after several days’ study of the records, whereas Fermi had his within seconds. Emilio Segrè in Enrico Fermi: Physicist (1970), 147-148. Emilio Segrè, Epigraph in Richard Rhodes, The Making of the Atomic Bomb (1986), 8. If some nuclear properties of the heavy elements had been a little different from what they turned out to be, it might have been impossible to build a bomb. Emilio Segrè, In Enrico Fermi: Physicist (1970), 149. On the morning of Sept. 14, 1954, in the Ural Mountains about 600 miles southeast of Moscow, the Soviet military exploded an atomic bomb in the air near 45,000 Red Army troops and thousands of civilians as part of a military exercise. How many people were killed or maimed or became ill as a result of the exercise may never be known. But a film of the test recently obtained from secret Soviet military archives sheds new light on the often reckless nuclear testing during the cold war and the use of people as guinea pigs, nuclear specialists say. Marlise Simons, "Soviet Atom Test Used Thousands As Guinea Pigs, Archives Show", The New York Times, (Nov. 7, 1993). There was a lot of protest after Bravo, from countries like India, for example. India was the first country which came forward and proposed at the United Nations that all of these nuclear tests should be stopped, that there should be a complete ban on nuclear testing. Submarine building proceeded at a furious pace in the early 1960s, as the United States strove to deploy a major component of its Strategic Triad. From 1960 to 1966 the U.S. Navy launched a total of 41 SSBNs, called the "41 for Freedom." All were named for eminent figures in American history and divided among the 5-ship George Washingtonclass, the 5-ship Ethan Allen class, and the 31-ship Lafayette/Franklin class.Initially, each boat carried 16 Polaris nuclear missiles that could be launched underwater toward distant targets. Frederick Soddy address to New Europe Group meeting on the third anniversary of the Hiroshima bomb. Quoted in New Europe Group, In Commemoration of Professor Frederick Soddy (1956), 6-7. Gertrude Stein, "Reflection on the Atomic Bomb" (1946). We must learn how to generate the still higher energy particles of the cosmic rays - up to 1,000,000,000 volts, for they will unlock new domains in the nucleus. Edward Teller with Judith L. Shoolery, Memoirs: A Twentieth-Century Journey in Science and Politics (2001), 211. The fact is that nuclear weapons have prevented not only nuclear war but conventional war in Europe for forty years. Margaret Thatcher, Speech at Lord mayor's Banquet 1986. Quoted in One of Us:A Biography of Margaret Thatcher by Hugo Young, Macmillan, 1989 (p. 480). The greatest man-made threat to U.S. survival is nuclear weapons. Russia already has the capacity to obliterate our civilization, and China soon could. As the number of nuclear powers increases, the prospects for preserving a stable deterrence regime diminishes. However, the U.S. only spent 1-2% of its defense budget on missile defenses during the period from 2003-2014, about $92 billion in then-year dollars. If the $1.7 trillion wasted on Iraq had instead been used to develop and deploy a comprehensive missile defense system, the U.S. today would be on the verge of being able to defeat all but the biggest nuclear attacks before warheads could reach the American homeland. Loren Thompson , “Iraq Opportunity Costs: What America Could Have Had If It Never Invaded”, Forbes, (Jun 27, 2014). Harry Truman, radio address to the American people, following the bombing of Hiroshima, Japan (August 6 1945). I am not sure it can ever be used... I don't think we ought to use this thing unless we absolutely have to. It is a terrible thing to order the use of something that is so terribly destructive, destructive beyond anything we have ever had. You have got to understand that this isn’t a military weapon. It is used to wipe out women and children and unarmed people, and not for military uses. So we have got to treat this differently from rifles and cannon and ordinary things like that. 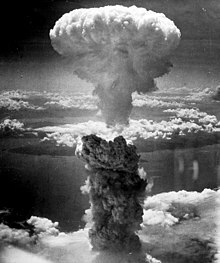 The atom bomb was no “great decision.” It was used in the war, and for your information, there were more people killed by fire bombs in Tokyo than dropping of the atomic bombs accounted for. It was merely another powerful weapon in the arsenal of righteousness. The dropping of the bombs stopped the war, save millions of lives. Harry Truman in reply to a question at a symposium, Columbia University, NYC (28 April 1959). In Truman Speaks (1960), 67. The single greatest problem the world has is nuclear armament, nuclear weapons, not global warming. With the end of the Second World War, the Soviet Union was now high on the list of tyrannical enemies of democracy, and American nuclear weapons development and strategic theory were fashioned with that enemy foremost in mind. Oppenheimer’s sympathy for Communism, his enthusiasm for world government as the ultimate arbiter of nuclear technology, and his qualms about the proposed second generation of nuclear weapons, played a critical role in the history of the Cold War and in the precipitous course of his subsequent career. Already, in the fall of 1945, when Edward Teller was pressing for immediate development of the hydrogen bomb (the “Super,” as it was called), Oppenheimer responded coldly and tersely: “I neither can nor will do so.” Oppenheimer regarded the Super as a genocidal weapon: its only conceivable purpose would be the destruction of civilian populations by the millions — and ideally in the tens or hundreds of millions. The sole end of war with H-bombs would be annihilation. The peace that such a war would bring would be that of the mass grave; and if there were any survivors, they would likely prefer to have been among the dead. Civilization would have to be reconstituted from radioactive ash. And yet the undeniable perfidy of the Stalinist Soviet Union convinced even Oppenheimer that the Atomic Energy Commission (AEC), created to oversee the use of atoms for peace, would be above all the instrument of war. In 1947, Oppenheimer declared that the agency’s main job was to “provide atomic weapons and good atomic weapons and many atomic weapons.” And Oppenheimer wanted to be the moving force in this work, despite his ever-deepening moral qualms. But Oppenheimer was never of one mind for long. The Soviets’ test of an atomic bomb in 1949 propelled him back to the internationalist position he had taken just after the war, believing that a single world organization should govern the nuclear policies of every individual nation. While Edward Teller insisted that the Super was needed now more than ever, Oppenheimer huffed, “Keep your shirt on.” He joined Enrico Fermi and other eminent physicists in lobbying Roosevelt’s former vice-president Henry Wallace to stop H-bomb development, “primarily because we should prefer defeat in war to victory obtained at the expense of the enormous human disaster that would be caused by its determined use.” To possess a weapon of incalculable potency — some theoreticians feared it could ignite the atmosphere in an explosive chain reaction and destroy the earth — would pose graver dangers than not to have one at all. While Oppenheimer was making the case for tactical nuclear weapons, useful on the battlefield, the Strategic Air Command’s war plan emphasized a massive and decisive nuclear first strike in the event of a conventional Soviet attack on Western Europe. According to Bird and Sherwin, the H-bomb advocates were so obsessed with the threat of Communism that they believed “Oppenheimer’s championing of tactical nuclear weapons was a ploy to block the Super Bomb.” Teller went so far as to spread the word that in trying to block the H-bomb Oppenheimer was acting on “direct orders from Moscow.” Teller may have been out of control, the Strategic Air Command may have been defending its turf, and Strauss may have been seeking personal revenge against Oppenheimer, but all the same, the gravest matters were at stake. The Soviet Union was a real threat that needed to be confronted with sobriety; seeing the defenders of the H-bomb as fanatics and conspiracy theorists foolishly belittles the existential challenge America was then just beginning to face. Machiavelli, so widely considered the founding father of modern political morality, or immorality, understood prudence, or the ability to choose among possible courses of action, as the sine qua non of the conqueror. But in the atomic age, the foremost aim of prudence among more or less decent nations is no longer to conquer but to avoid annihilation, while also avoiding the evil of annihilating the enemy — i.e., nuclear genocide. In October 1949, the General Advisory Committee to the AEC recommended that “a super bomb should never be produced” — that it “might become a weapon of genocide.” Oppenheimer was one of the signatories. To assume that the Soviet enemy would share this American scrupulousness was the committee’s fallacy; and to make such an assumption of Stalin was the depth of folly. Algis Valiunas, "The Agony of Atomic Genius", The New Atlantis, Number 14, Fall 2006, pp. 85-104. George Wald, from speech given at an anti-war teach-in at the Massachusetts Institute of Technology, (4 Mar 1969) 'A Generation in Search of a Future', as edited by Ron Dorfman for Chicago Journalism Review, (May 1969). The only absolute defence against nuclear weapons is to do away with them. Francis Wheen, "Dr. Stranglove, I Presume", The Guardian, 12th April 2000. When A. J. P. Taylor, having described with lurid relish the effect of a nuclear explosion, asked "Is there anyone here who would want to do this to another human being?" there was a complete hush until he yelled, to thunderous applause, "Then why are we making the damned things?" David Widgery, on Taylor's speech at a February 1958 CND meeting. In "Don't You Hear the H-Bomb's Thunder?" in David Widgery, The Left in Britain", 1976, (p.101).